SWOT Analysis for Stocks: A Simple Yet Effective Study Tool. SWOT Analysis for stocks is one of the most widely used tools for performing the ‘qualitative’ study of the company. It helps to understand the company’s market position and competitive advantages. In this post, we are going to discuss what is SWOT analysis and how to use this tool for qualitative analysis of a stock. Our of the four factors of SWOT analysis, ‘strength’ and ‘weakness’ are the internal factors of a company and hence are controllable. On the other hand, ‘opportunities’ and ‘threats’ are external factors and it’s little difficult for a company to control these factors. However, using the SWOT analysis of stocks, the management can identify the threat and opportunities and hence can take proper actions within time. For example, Bharat Stage (BS)- IV fuel was launched in India in April’2017. This means the ban on the sale of all the BS-III compliant vehicles across the country after the launch date. Those automobile companies who have already realized this big opportunity might have started working on the BS-IV vehicles months before the expected launch date. On the other hand, companies who haven’t done the opportunity/threat analysis properly would have faced a lot of troubles. They cannot sale the old BS-III model vehicles. Hence, a big loss of the finished products and the inventories. Also read: BS-III vehicles: Auto-industry to absorb losses over Rs 12,000 crore. 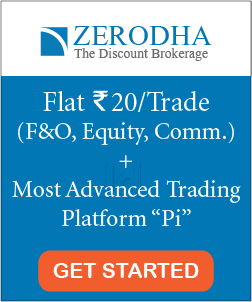 Why use SWOT Analysis for stocks? 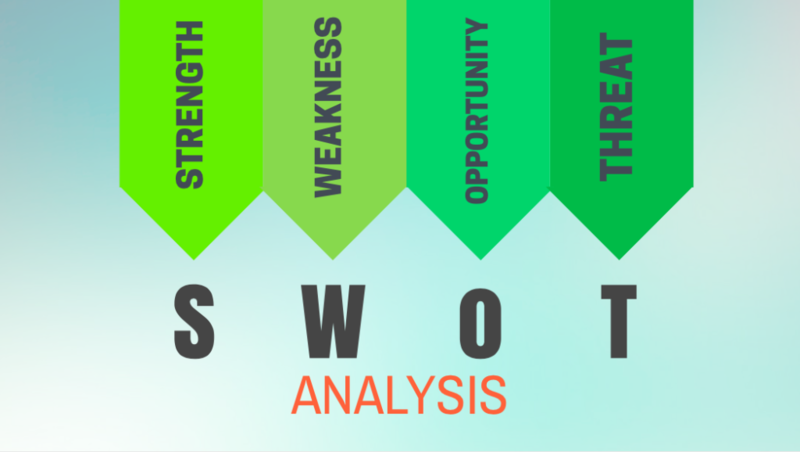 SWOT analysis is one of the simplest yet effective approaches for the qualitative study of a stock. It helps in identifying weak points of a company that may become an issue in future. It helps in finding the durable competitive advantage i.e. moat that will help to protect your investment in future. Quick Note: During swot analysis for stocks, only include valid/verifiable statements. Do not add rumor/misleading pieces of information in the study. The strength of a company varies industry-to-industry. For example, a low non-performing asset (NPA) can be the strength of a banking sector company. On the other hand, cheap supplier or cost advantages can a big strength for an automobile company. The ‘reverse’ of everything discussed in the ‘Strengths’ can be the weakness of a company. For example- Weak financials, in-efficient management, poor brand recognition, unskilled workforce, non-repetitive clients, un-scalable business and disloyal customers. For example- many companies in telecommunication industry ran out of business as they were using outdated 2G/3G technology. Similarly, in the energy sector, renewable power generation is the future technology and those companies who are ‘not’ working on the new technology might get outdated soon. In short, outdated technology adversely affects most of the industry. The changing consumer preferences are one of the repetitive threats that many industries face. Here, if no proper action is taken to retain the customer, then it might unfavorably affect the profitability of the company. For example- The new trend of ‘health awareness’ among the people may result in a decline in the sales of beverages/Soft drink companies. (These companies are fighting back this threat by introducing ‘DIET-COKE’). Similarly, a preference towards ayurvedic products in India has already reduced the sales of non-ayurvedic FMCG companies (and a rise of PATANJALI). 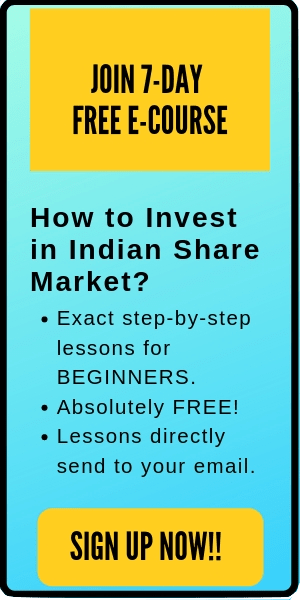 Also read: How to Invest Your First Rs 1,000 in The Stock Market? How to use SWOT ANALYSIS of stocks to study companies? Swot analysis of stocks is quite useful while performing the comparative study of companies. Using these analyses, you can study the comparative strengths and weaknesses of different companies. Let’s say there are two companies- Company A & Company B. The loyal customers can be the ‘strength’ of company A. Whereas, disloyal customers can be a ‘weakness’ for company B. A new Merger & Acquisition (M&A) is an opportunity for company A. However, it is a threat to company B. Also read: SWOT Analysis of FORD Motors. SWOT Analysis of stocks is a useful tool to analyze stocks based on their strengths, weakness, opportunities, and threats. 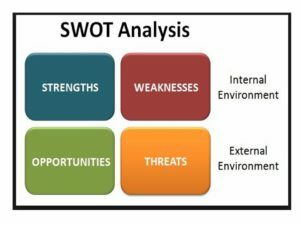 If done properly before investment, SWOT Analysis can help an investor to understand the competitive advantages/disadvantages in order to make a reasoned decision.